I am excited to announce that Random Cuisine has now its own domain. It never crossed my mind of having my own domain as I consider blogging as a hobby, but after three years in the blogging world, it feels right to own one. Anyhow, you will notice that the address bar now reads http://www.randomcuisine.com instead of http://victor-recipe.blogspot.com. If I made the changes appropriately, my old URL will redirect you to my new URL, so you don't need to make any changes. Ok, now for an anecdote... I know my Taiwanese friend Chris for over four years. We first met when we were knife salesmen the summer before I started my Masters degree in Physics. Since then, we have been cooking together almost every Sunday to test out new recipes and share our food knowledge. He grew up in Taiwan and has traveled around Asia. He is my encyclopedia for Asian cuisine such as Chinese, Korean and Japanese cuisine. He loves to tell interesting stories behind each dish. This stir-fried squid soup is a classic street food in Taiwan. 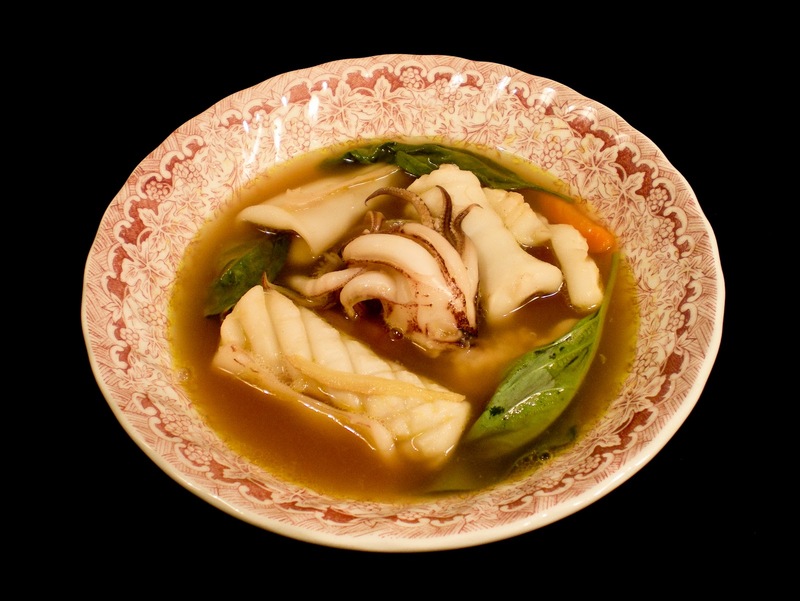 It is weird to see stir-fry and soup in one name, but it has to do with the cooking method. The aromatics are first stir-fried in hot oil to release its fragrance, then these aromatics provide a flavour profile to the soup. 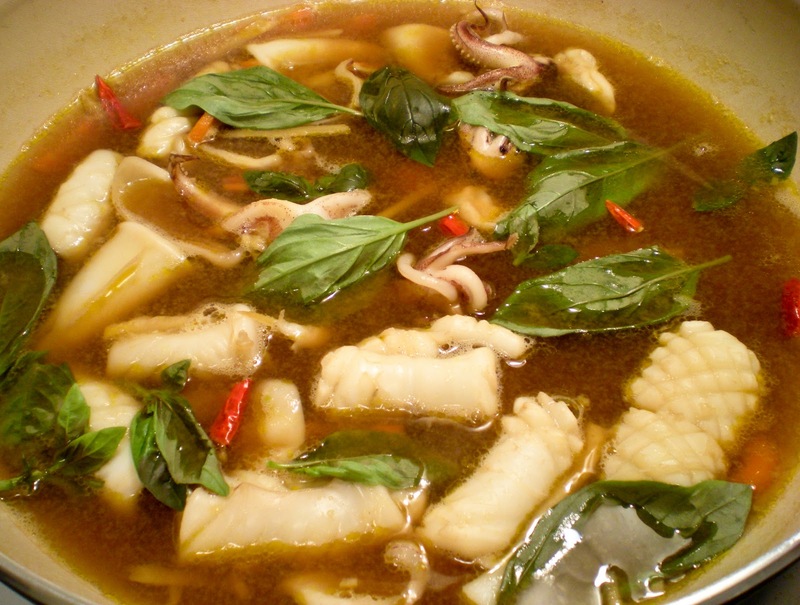 Like most Asian dishes, flavours are balanced by the appropriate amount of sweet, sour and salty ingredients. 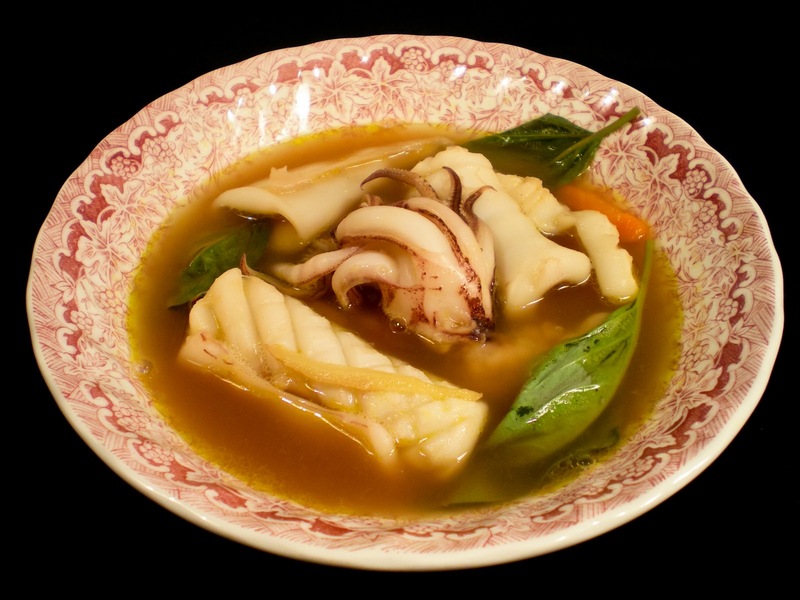 This is one soup you will definitely enjoy. 1. In a skillet, heat oil over medium-high heat. Sauté carrots for 2-3 mins. Add in ginger and garlic, cook until fragrant, about 1 min. Add in squid and sauté for 1 min. 2. Pour in hot water. Bring to a boil and reduce to a simmer. 3. Add chilli pepper, soy sauce, vinegar and sugar. 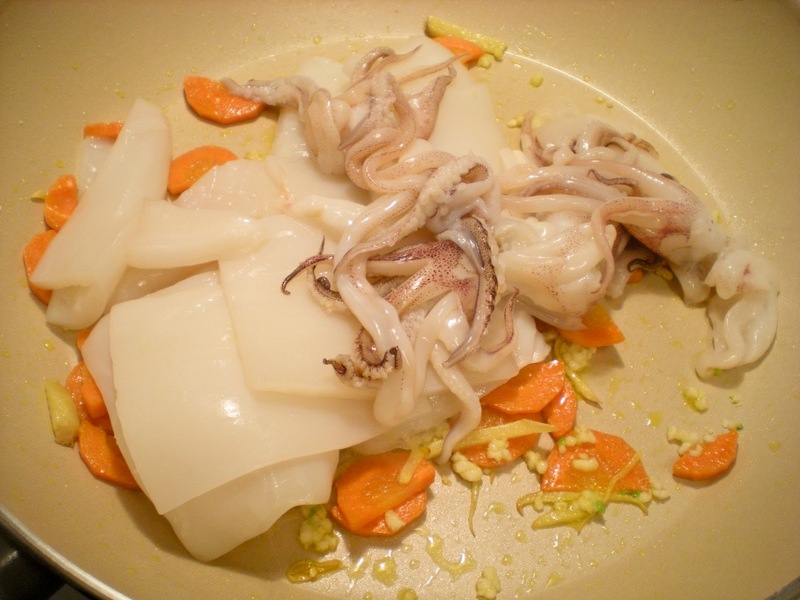 Cook for about 5 mins until squid is ready. 4. Stir in beaten egg and basil leaves. Serve. 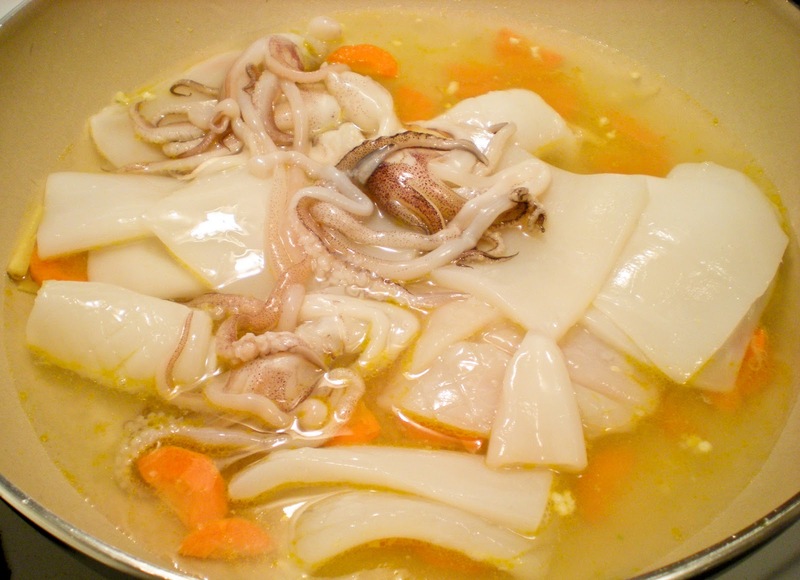 It must have been an age ago that I last had some squid soup. So fresh and yummy! I so love squid! This looks great! Happy holidays! this look simple and good, I can make this anytime! Thanks for sharing Victor. Indeed, I really loved soup especially when winter is coming. Because winter is coming I decided to look some recipe that will teach me how to cook some soup. I think this is the article I'm looking for. Thank you for sharing this one.